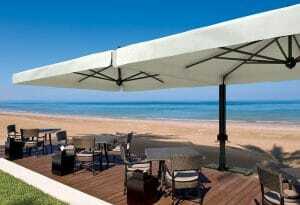 Clients looking for exceptional quality, then our Italian made branded parasols are a great option. 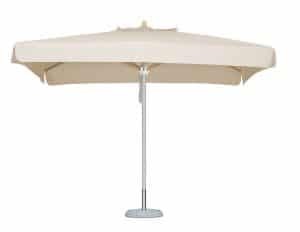 Utilising the best materials and components, these printed parasols can be produced and delivered in around 5 to 6 weeks. These premium promotional parasols come with a 2 Year Frame Guarantee so you can really trust their quality and longevity. Our factory has been producing these elegant and extremely hard wearing parasols for over 40 years. These branded parasols are hand-made by expertly skilled and experienced workers. Not only are the best components are used but also the latest technology is harnessed. 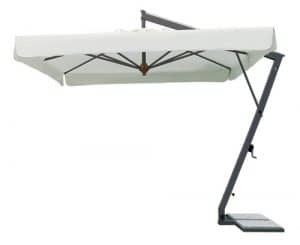 We also offer special care finishes so you can be confident that your printed parasols will last and last. 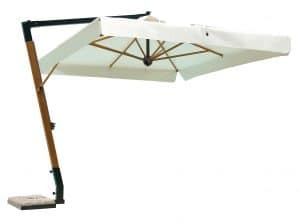 Brollies & Parasols’ Italian made parasols are easy maintenance and offer spare parts if you ever want to continue your parasol’s life. All of this in under 6 weeks and surprisingly low prices. 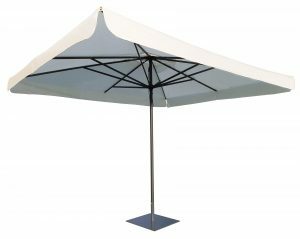 On top of exceptional quality frames, Brollies & Parasols offer a free canopy pantone matching service for all branded parasols orders. This means you can exactly match your brand without any constraints of selecting a stock colour. Great if you have unique branding colours!